‘Tis the season for Gingerbread Houses! Get creative, start building, and take your house to the next level. Prizes awarded in each category and Grand Prize for Best Overall receives $100 Gift Card and a Holiday Ham. 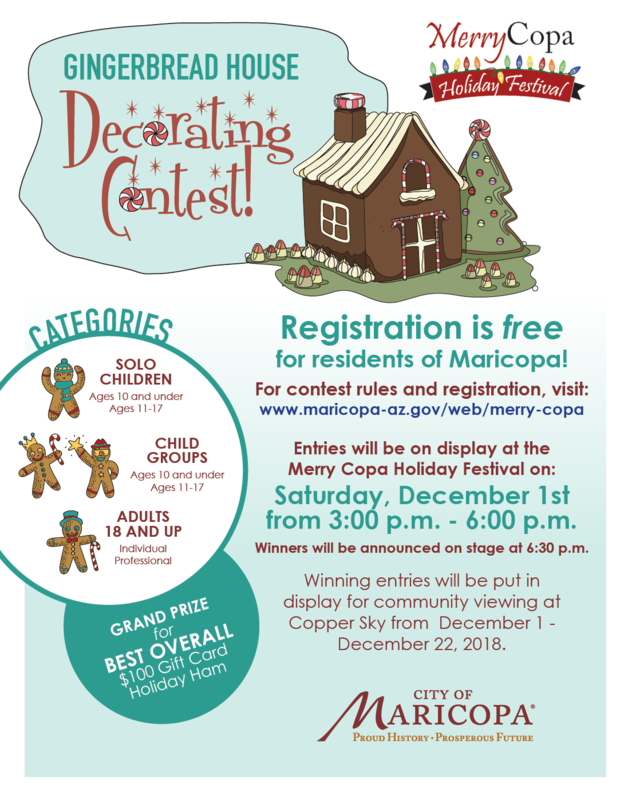 Entries will be on display at the Merry Copa Holiday festival and winners will be announced at 6:30 p.m.